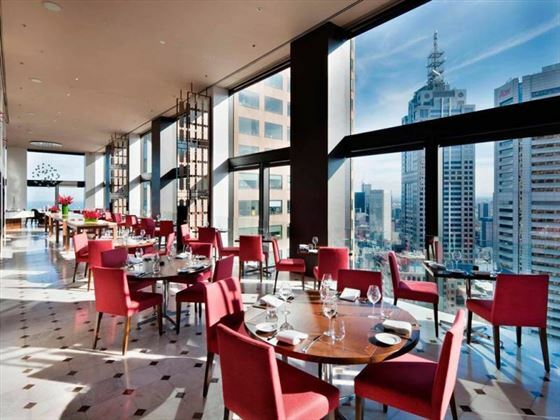 For ultimate luxury within Melbourne’s energetic streets, Sofitel Melbourne on Collins offers pure opulence. 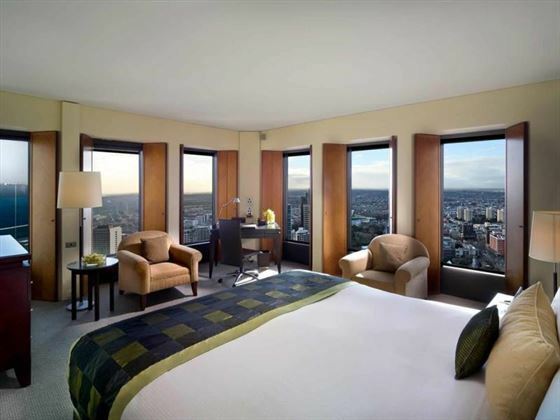 Located along Collins Street close to the city centre, the high level rooms and suites provide impressive views of the surrounding cityscape as you relax in between visiting the main attractions. 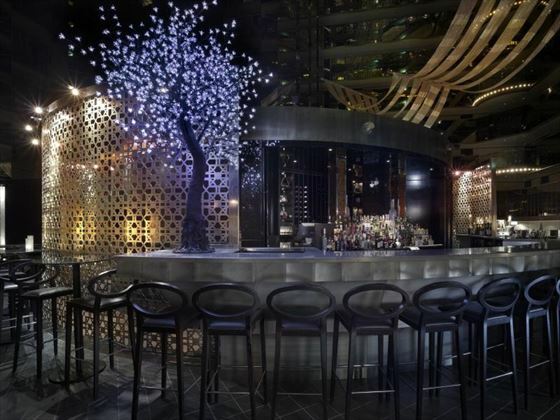 Award-winning fine dining is offered within sleek, extravagant interiors, with only the freshest local produce and finest signature cocktails and wines. Before a truly succulent dinner, visit So Fit for its contemporary gym equipment and zero-gravity massage chairs, before enjoying your accommodation’s floor-to-ceiling windows and stylish décor. 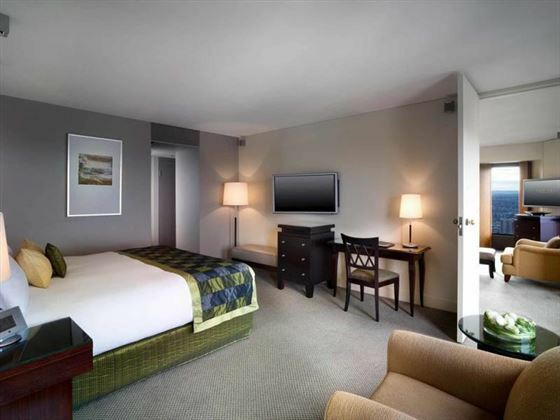 This hotel is elegant and sophisticated, perfect for socialites or a couple looking for a trendy getaway. 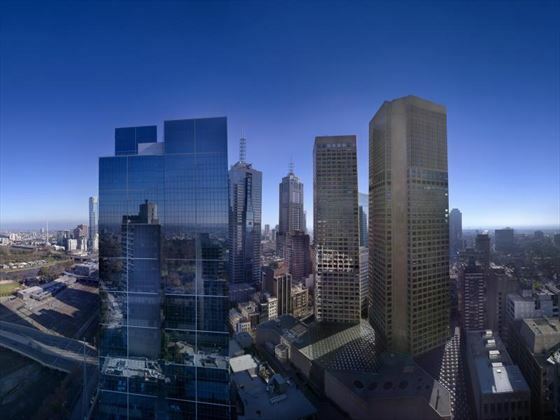 This sleek hotel is nestled on the top end of Collins Street, a picturesque boulevard in the heart of Melbourne’s lively city centre. Its prime location gives the hotel an exciting, vibrant ambience, and guests have plenty to see in between relaxing in the chic suites. Nearby you’ll find magnificent historic churches, breath-taking architecture, the Yarra River and Princes and Regent Theatres. 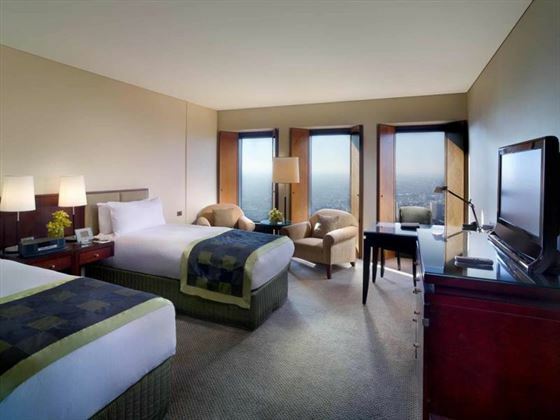 Classic Room – Smart rooms located between levels 36 and 47, offering spectacular city views through floor to ceiling windows. Sleeps a maximum of three guests. 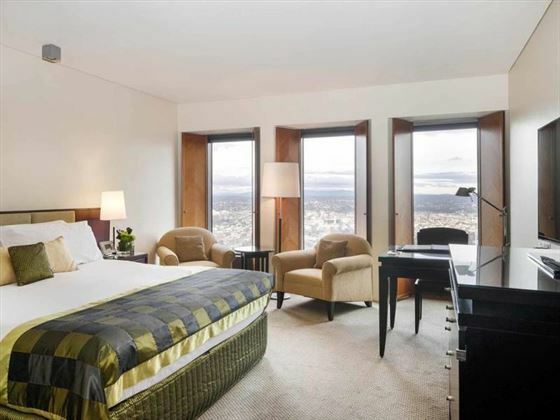 Superior Room – Similar to the Classic rooms, though slightly bigger with gorgeous views of Port Phillip Bay through its floor to ceiling windows. Sleeps a maximum of three guests. 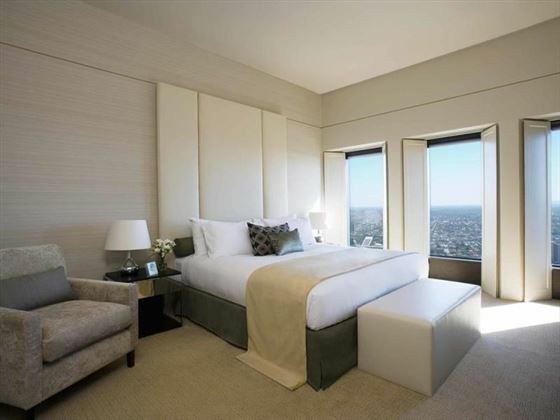 Luxury Room – Corner rooms located between levels 36 and 47, offering extra space and light through its floor to ceiling windows on two walls. Offers stunning views of the cityscape. Sleeps a maximum of three guests. Junior Suite – Sophisticated studio style suites with a comfortable seating area and floor-to-ceiling windows overlooking Melbourne’s bustling streets. Sleeps a maximum of three guests. Prestige Suite – Panoramic views, a stylish open plan lounge and a separate bedroom are featured in this sleek corner suite. Sleeps a maximum of three guests. 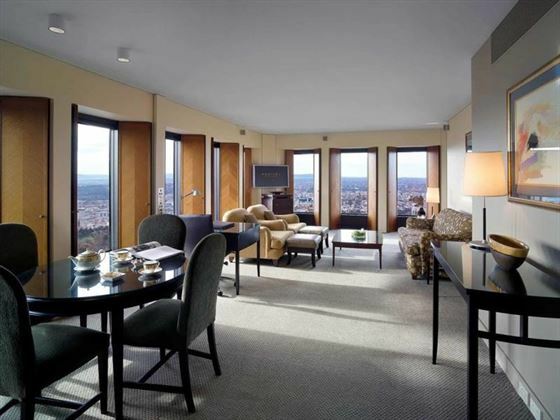 Level 50 Suite – Elegant suites located on the top floor with deep leather chairs in the separate lounge. 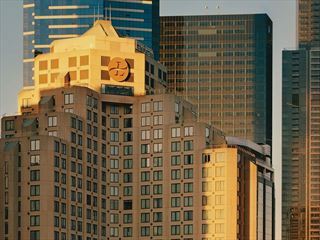 Choose between a Deluxe Suite with amazing city views, or a larger Ambassador Suite with a dining table that can be set for six. Sleeps a maximum of three guests. Level 50 Imperial – Beautiful, expansive suites with a butler’s pantry, a dining space for eight, and large TV’s in the lounge, bedrooms or bathroom, plus a circular spa bath. Choose between an Opera or Imperial suite. Sleeps a maximum of three guests. 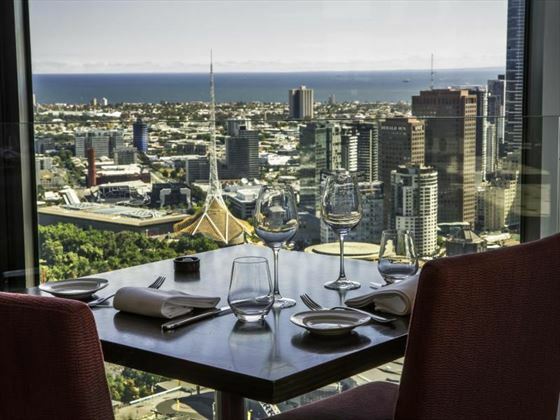 No35 – Sophisticated fine dining, with unbeatable views of the city. The restaurant offers an exceptional wine selection and fresh, local produce. Opening hours: Breakfast – 6.30am-10.30am, Lunch – 12pm-2pm, Dinner 6pm-10pm Sunday to Thursday and 5.30pm-10pm Friday and Saturday, Sunday Brunch – 12.30pm-3pm. The Atrium Bar on 35 – Beneath a mirrored fifteen-floor canopy lays a stylish bar with an outstanding selection of signature cocktails, boutique beers, light meals, and only the best champagne. Open from 5.30pm-11pm daily. Sofi’s Lounge – Wander through the beautiful gallery of artworks and fresh flowers and stop here for a leisurely afternoon tea. Open 8.30am-7pm daily. So FIT – A state-of-the-art fitness centre overlooking the city, with cardio, weights, stretching and change area. After your workout, try out the Zero-Gravity Massage Chairs for a rejuvenating massage. 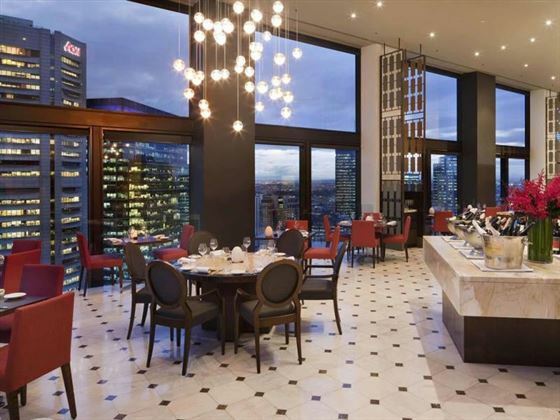 Though children are welcome and the Prestige Suites are suitable for families, Sofitel Melbourne on Collins is more of a grown up hotel, with no kid’s clubs or facilities, so may be best for families with older children. Free night offer Stay 5 nights and pay for 4 (maximum 1 free night) Valid up to 31 Mar 20, date restrictions apply. Only applicable in a Classic King Room. Free night offer Stay 4 nights and pay for 3 (maximum 1 free night). Plus receive a reduced rate and a full breakfast daily. Valid up to 31 Mar 20, date restrictions apply. 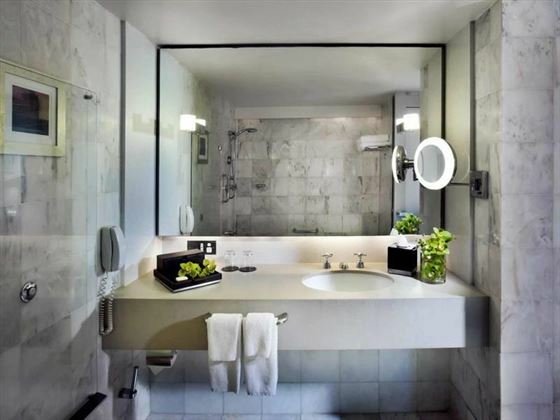 Applicable in Superior or Luxury Room, Junior or Presitge Suite, Level 50 Suite or Level 50 Imperial. 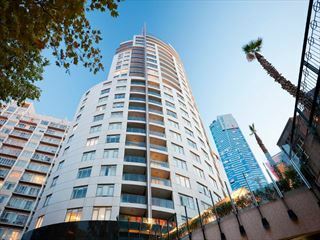 Sitting along the bank of Yarra River, this luxurious hotel is in the middle of Melbourne's best attractions. There's plenty in the hotel to keep you entertained too, including a decadent restaurant, rejuvenating spa, and a gorgeous pool. Great for a romantic, stylish break.